Managing People within an organization is a key element, usually encompassing core Business processes with a direct impact on performance. 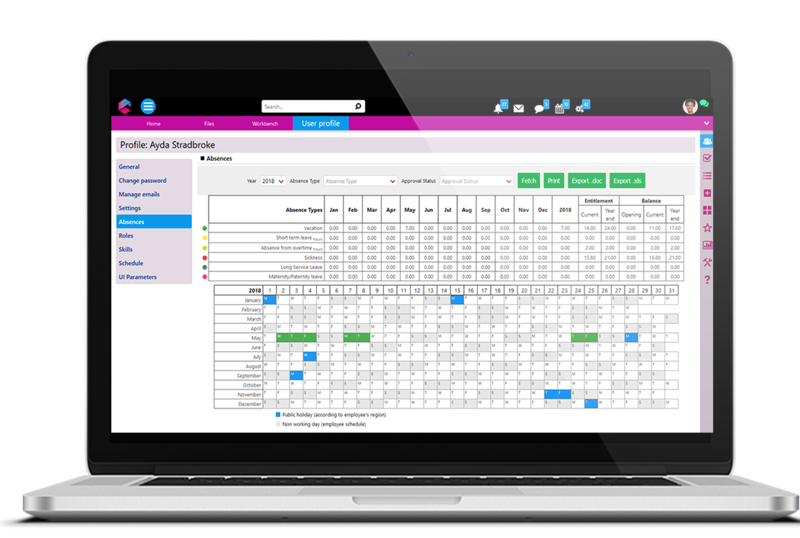 Comidor PPM enables end-to-end Enterprise Project Management with complete Resource Capacity Planning capabilities. Define job titles & skills required. Search for people by skills, attributes, assign roles to each user and link role with rights, responsibilities, activities and actions. Define the working days and hours, per region/individual. Minimize administrative risks related with personnel absences. Assign which users will access resources, the level of access provided (No Access, View, Restricted, Full Control, Admin). Customize the ecosystem per user/teams. Select the most suitable people for each work, based on their Skills and Cost. 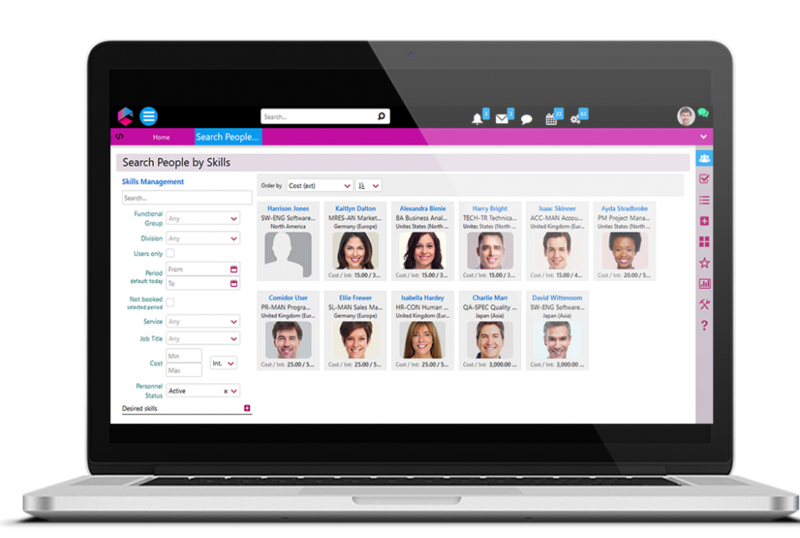 Book a demo now to check how important Personnel information is displayed differently based on each user role! Search for specific Personnel, based on Name, Title and other advanced criteria. Select job title from your list, as well as cost range(min, max). Make the request for personnel booking, engaging personnel directly to Project’s working packages. Want to see the real costs on each assignment? Get help from the videos on this! 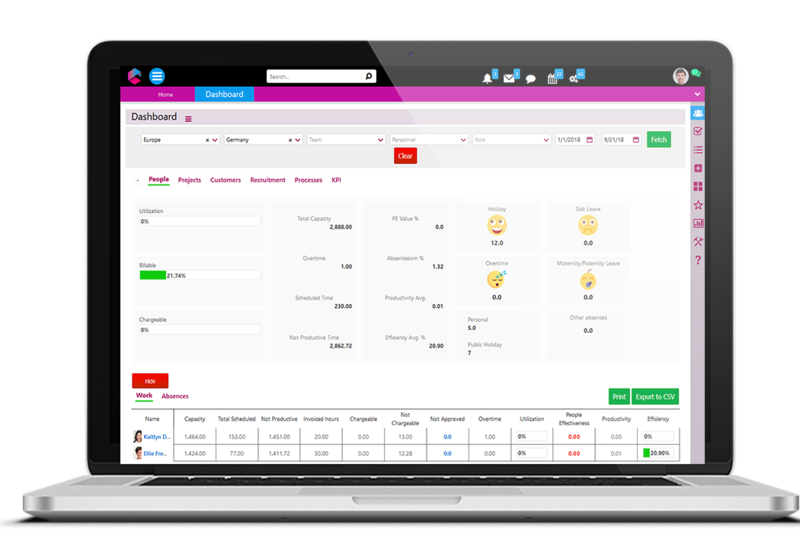 Comidor PPM provides to users a smart and practical Dashboard to control Work, Absences, Job Postings as well as rich on-demand information on the People & Project Management level. Below is a detailed chart with the Working days of a selected personnel, based on Capacity, total scheduled, chargable/non chargable hrs, overtime, effectiveness, etc. Comidor PPM also provides the functionality to fully track the Job Postings traffic & success, with graphical & numerical representation on the Job Applications per month and the Recruitment cost per month.